The developer Waninkoko has released its CFW 3.55 v2 loader code allows home and also supports the burden of backups for our PS3. 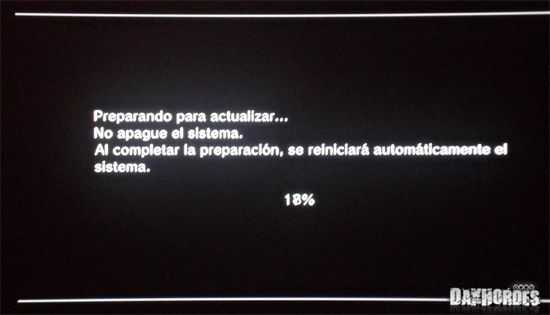 - PlayStation 3 with firmware 3.55 or lower. - Pen or other USB storage device. - This custom firmware for the PS3 increases the system capabilities of your console to allow installation and execution of homebrew applications. - The Custom Firmware can also allow the loading of legal copies (backups) using these new functions by using backup managers. - Now compatible with all existing models of PS3. - Has the same compatibility with games that could be obtained with different dongles. - The main core of the payload is based on Hermes, also has some features of PL3 and supplementary code and improved by Waninkoko. If you have another custom firmware installed (whatever it is) is recommended reinstalling the official 3.55 firmware. To do so follow the following explanation as if you were to upgrade from a lower firmware. 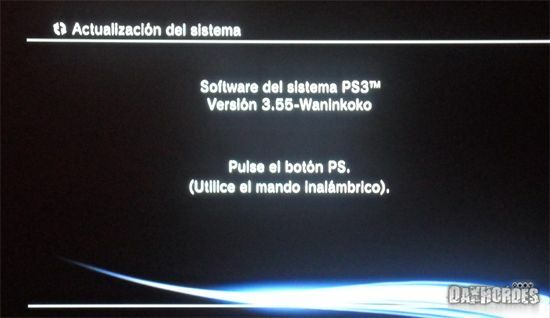 To install the CFW 3.55 Waninkoko v2, our PlayStation 3 should be previously in official firmware 3.55, so if we lower the firmware will be updated. 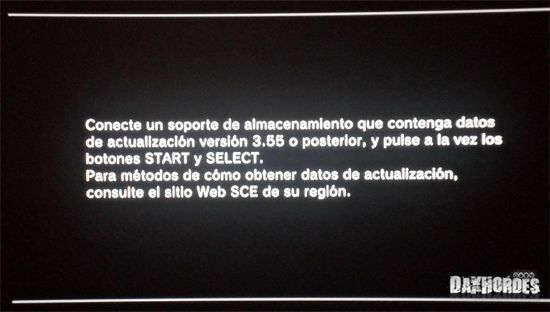 - Download the 355.PUP (official firmware update 3.55). - After downloading, rename it the file 3.55.PUP to PS3UPDAT.PUP..
- We take the Pen Drive or USB device and formats from the PC in FAT32. - Create at the root of a folder called PS3 Pen and inside it create another folder called UPDATE. - Connecting the Pen to our PS3. - We are going to Settings and enter System Update. - Select Update via Storage Media. - We will see that recognizing the upgrade from version 3.55 and select it. - Proceed with the update following the required steps on the screen. - After downloading, rename it the file 3.55.PUP to PS3UPDAT.PUP. - Download the CFW 3.55 Waninkoko v2. - Double click on the file Aplicar el parche.bat and start patch. When finished, press a button and close the command window. - We will have the custom firmware created, CFW_PS3UPDAT.PUP file that is created in the folder. - Connecting a Flash Drive or other storage device (formatted FAT32) to the PC. - Create at the root a folder called PS3 and inside it create another folder called UPDATE. - Rename the file CFW_PS3UPDAT.PUP to PS3UPDAT.PUP and copy it into the UPDATE folder from Pendrive. - Being with the PS3 on, press and hold the power button until it shuts down and the light is red. - Release the button and turn to leave the button pressed, the console is turned on, will beep 1 time and then make another beep, hold the button wait until one turns off again. Again we let go of the button when the red light. - Go back to keep your finger on the power button, back has light, make a beep and hope has to do two beeps. - Release the button and get the Recovery Menu (takes a few seconds to appear), then you will be asked to conect command and press PS button. - Select the "System Update" and follow the onscreen instructions to complete the installation. Custom Firmware 3.55 Waninkoko v2installed. 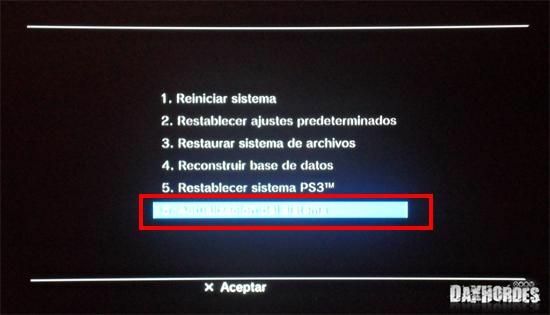 - When you reboot our PS3 will see that in the Games menu and the folders Install Packages and / app_home/PS3_GAME / with which we can install applications and run backups (previously loaded with a backup manager) respectively. 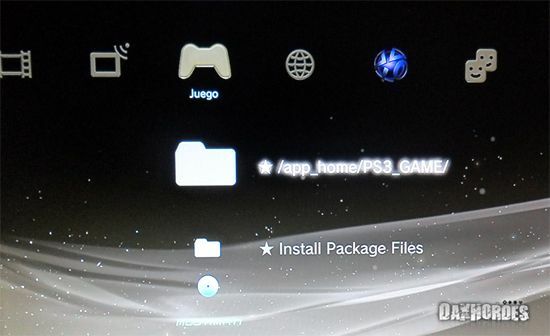 - To install homebrews, we'll just enter the installable files .Pkg in a pendrive, connect the Pen to the PS3, go to Install Package and install flies. 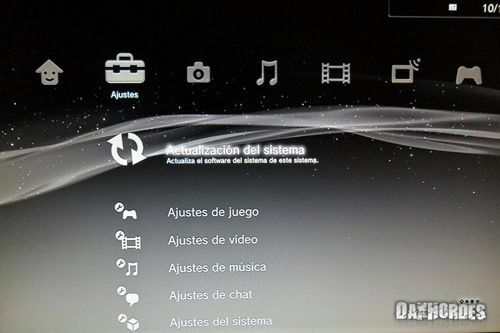 - After installing fixed an icon in the menu games on our PS3 from where we will run it. - The first thing I install, will be a backup manager, to make copies of our games and to load them: Latest version of multiMAN. - Its use is simple, press X to load and O to copy. At the time of copying a game, we first ask if you want to copy it to the internal hard drive of our PS3, if you press a No, we asked if we burn to an external hard drive (via USB), choose where you go better. - To load a game with MultiMAN, get on the game and press X, after which we asked if we start directly without going through the XMB, select No, as the compatibility of this option is low. 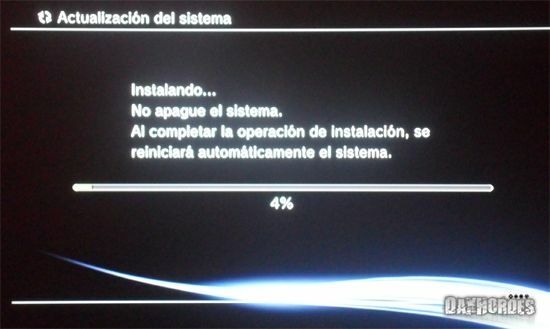 - After this, the PS3 return to XMB. Now to load a copy of our game, if you have a disc of any game in the PS3, we can load the game loaded from the disc as the PS3 will believe that is what we have loaded in MultiMAN. - We also have the option to run the game app_home/PS3_GAME loaded from the folder, and the PS3 also will recognize it as the game. 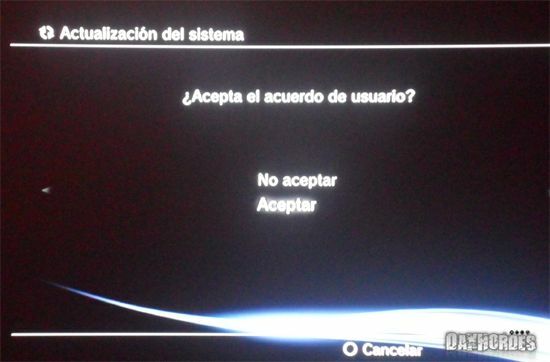 - That's it, now enjoy your PS3.